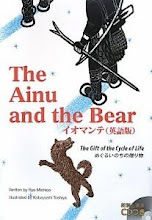 I am pleased to announce that The Ainu and the Bear; the gift of the cycle of life (RIC Publications, 2010), our English translation of Iomante~ meguru inochi no okurimono (Parol-sha, 2005), will go on sale to the general public on April 15. 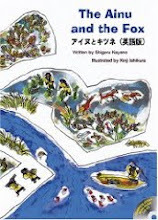 It has been tremendously exciting to be part of this project, and the chance to learn something about Ryo Michico, the author of the book, has been one of the things that made it so. 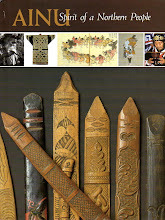 Her wide-ranging interests include, but are not limited to, the cultures of original peoples. 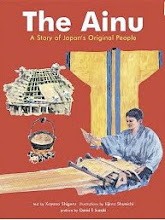 She was awarded the Mainichi Shinbun's New Writer's Award for Children's Literature in 1986. She translated Chief Seattle's speech Father Sky, Mother Earth into Japanese, and is the author of Aoi Namujiri (Blue Namujiru), a story based on a Mongolian folktale, as well as Ookami no ko ga hashittekite (literally: the wolf cub came running), which is based on an Ainu word-play game (both published by Parol-sha). 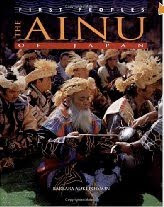 In 2003, the International Astronomical Union (IAU) named an asteroid after her, in honor of Ms.Ryo's astronomy-related works (a whole different aspect of her career that I can't cover here). Click here to see Ms.Ryo's official website (in Japanese).